Editor's note: Robert Dentice, who subscribes to my site, recommended Eric Steinberg's Understanding Mosel Wines to members of Wine Berserkers. I happened to come across his recommendation on this forum, but I had never heard of Steinberg's book before. Robert emailed me that I could download a Kindle for Mac and buy the e-book via Amazon.com. After a look inside, I was pleasantly surprised and decided to take the plunge and buy it. 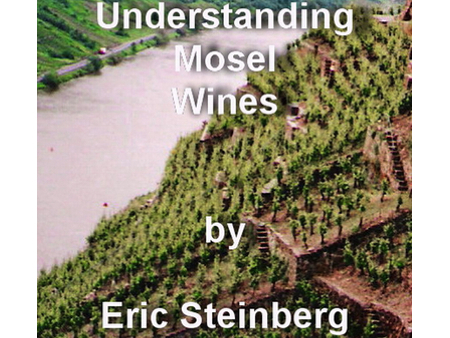 Steinberg's e-book helps the reader to better understand Mosel wines (as the title says), with all its complexities. Eric Steinberg is a former professor of philosophy and administrator at Brooklyn College of the City University of New York. He has continually enjoyed fine Mosel wines since 1971.